Where should we go for the best place to try this type of beef, at reasonable budget. Can you suggest a few options for Tokyo? We were taken to a place by some Japanese people which was spectacular, I think it was Satou. It was the matsusaka beef. There was piles of it and some of it looked more fat than beef. But really, it is so rich you cant eat a lot of it and you dont see much on the sides except a slice of pumpkin. My preference would be to go to a ryokan at say Bessho Onsen and get the beef course kaiseke. You might pay a little more than the basic menu, but it is a fantastic way to eat. Noted and thanks for your reply. Will definitely check out the beef there. If you need to know Satou has a shop and restaurant in Kichijoji, the price is very reasonable, but there will be long queue, even the take away shop below the restaurant has wagyu meat ball, very nice but the queue is also long. The restuarant in Ginza is very expensive, along with many other restuarant in Ginza, I think you will find most of the wagyu beef restaurants in Ginza, with different variation, you probably wont tell the differences, but Kobe and Matsusaka being the well known and considered the best. Here is a all you can eat wagyu in Ginza, at reasonal price. Thanks very much for the info. Eat all you can A5 wagyu seems like a good deal, will definitely check it out. Many thanks! any other recommendations are welcome, i'll mainly be at shibuya, shinjuku area but will travel to ginza too for good beef! TBH, with all the information, it could be useless, i'm going to Japan in 6 days time, and I have a list of where to eat A5 wagyu, i'll probably won't even go to any of them, and go to a place as I shop around. satou is famed for matsuzaka beef. What about best place to eat kobe beef in tokyo? I'm a bit confused by all the choices actually, as there are too many to choose from, so I have to focus on the location that I am mostly be around, such as shibuya, shinjuku, ginza, roppongi, or around. This place has been recommended many time, but rather expensive, you will also find kobe beef in ginza, but you probably won't tell the differences from other A5 beef or even matsusaka beef, So I would recommend just finding a cheap A5 wagyu restaurant, all the places you listed all have restaurant for wagyu beef. noted with thanks, i guess i'll visit at least one listed, thanks! In Japan, higher-ranked brand beef does not always have a better taste, because brand beef is ranked not by the tastes but by the quality of the beef itself. I wonder why no one has put a link to the official website of Kobe Beef. : A link "店舗情報 Information" is for an image, where you can see the restaurant's name and address written in alphabets. : Unfortunately it seems most of the registered restaurants in Tokyo don't have a profile in English. "KOBE BEEF" is a legally protected Geographical Indication in Japan. 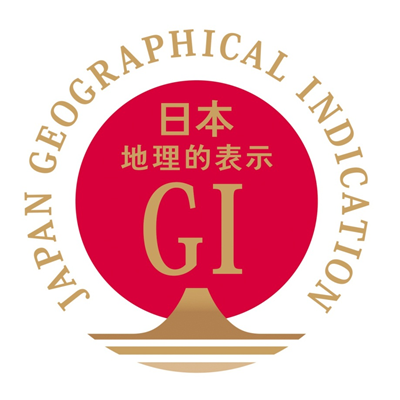 You might see a GI Mark at a Kobe Beef registered restaurant. many thanks for the links! Thanks for the link, these two places from the links look promising, if I have time I will probably give the place a visit.